If cancel 14 days prior to arrival a 1 night plus tax will be charged. If cancel within 14 days of arrival, a credit will be issued for next year. 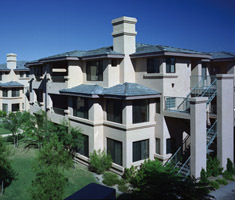 Atractive 1, 2, and 3-bedroom condos located 10 minutes from the center of Scottsdale. Cleaning service is included twice per week.